While Adox was a major photographic manufacturer prior to the 1970’s, the only folders from this film making giant are the Adox Golf (6×6) and the Adox Sport, a simple but very high quality 6×9 folder. The Sport came with a 6×4.5 mask, but like others, these are usually lost. Structurally, this is among the strongest folders, rock solid, that you could choose. The camera often sports a Pronto, Prontor S, or Prontor SV shutter … all fully synchronized of course. 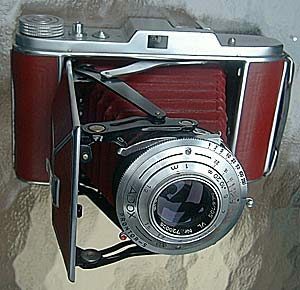 The lens on the Sport is often the Steinheil f4.5 / 105 Cassar. I’m told that the lens got its name from Casimir Steinheil and Tessar = Cassar, so is it a four element lens? I don’t know, I’m guessing it’s a three element, but again, I have received many emails from USERS who tell me that their Adox produces excellent, better than expected results. The Sport has no rangefinder, but an excellent viewfinder. You can always add an accessory rangefinder. Adox of course also produced a couple of simple folders in 6×6 format named the “GOLF”. 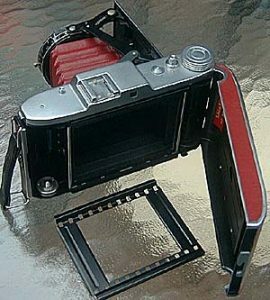 It was a basic camera on the Agfa Isolette mold, but built to a lower price point. It is still an eminently servicable 6×6 folder, but I would only recommend the models with the f4.5/75mm Steinheil Cassar lenses. The usual shutters found on this model were the Pronto or Prontor-S. 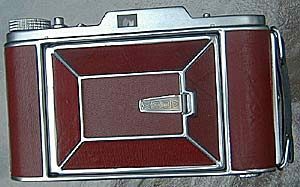 The more desirable Adox Golf, and the only one I sell/service, was and is of course the Adox Golf III or Mess-Golf with built-in uncoupled rangefinder. The rangefinder is simple but well made and accurate…well, they are all accurate AFTER a CLA. It follows with this or ANY folder, they need a CLA before use some 52 years after manufacture. Simply put, the Adox Golf is a competent folder with a decent triplet lens for the budget minded… just like 50 years ago!